At 0302 hrs. 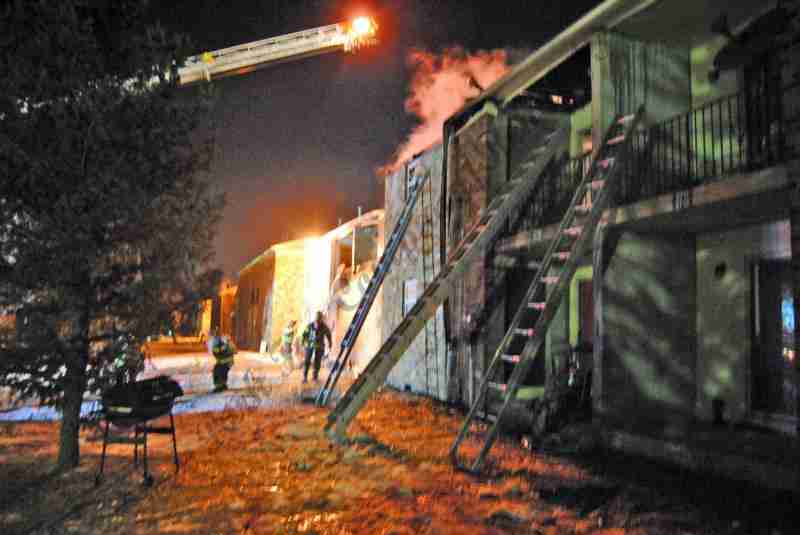 Saturday morning the Task Force Box was dispatched for the building fire at the Emerald Ridge Apartments. 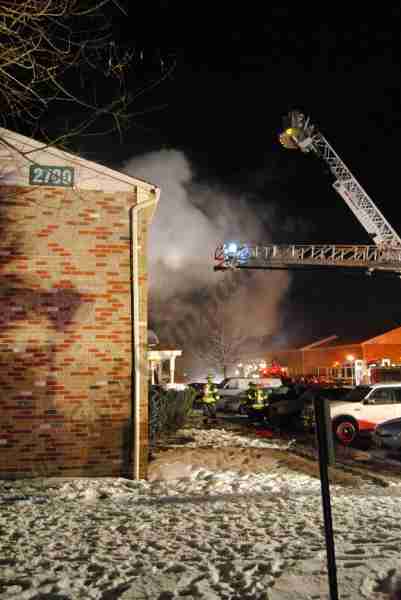 Fire was in the attic area of a 2 story garden apartment . 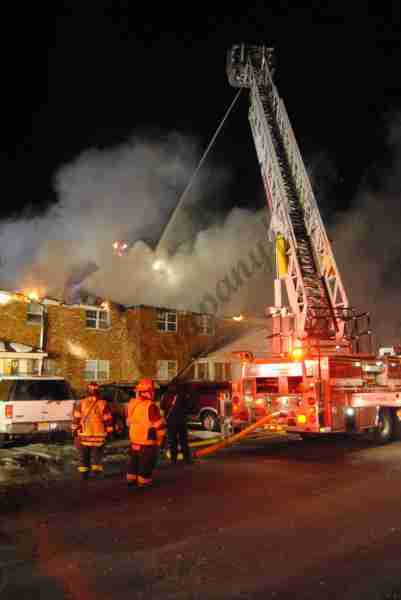 A total of 5 upper floor units were involved. 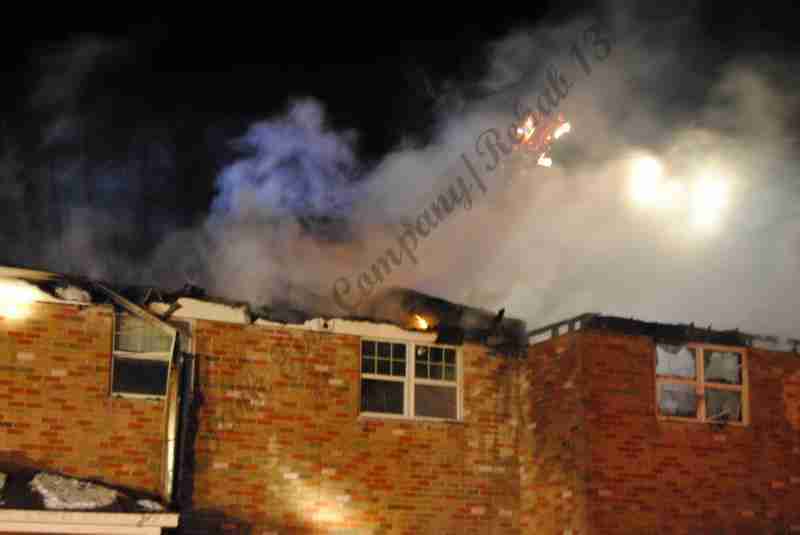 A 2nd alarm was struck for manpower. Rehab 13 was alerted at 0315 hrs. 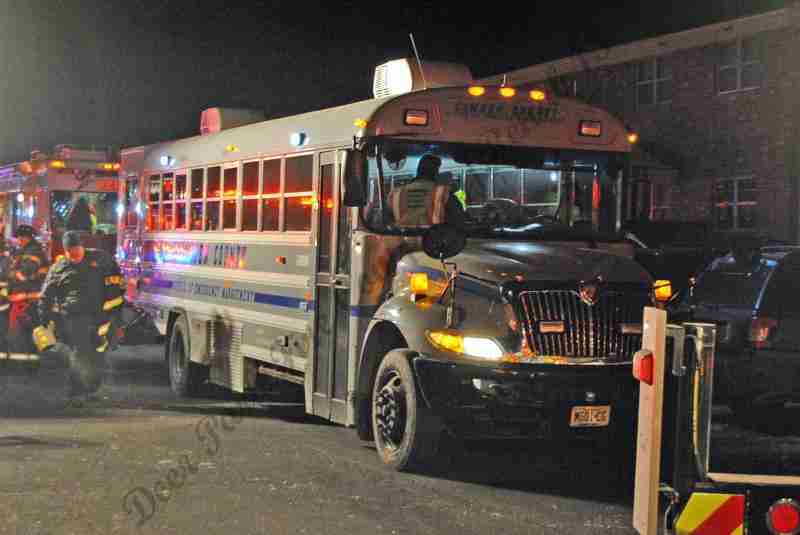 as part of the all hands assignment and responed to the scene with 6 personnel to provide fire ground support distrubuting hot and cold liquids, hot food, rest room, and assisted with the OEM Bus from Camden County to warm personnel at the incident. 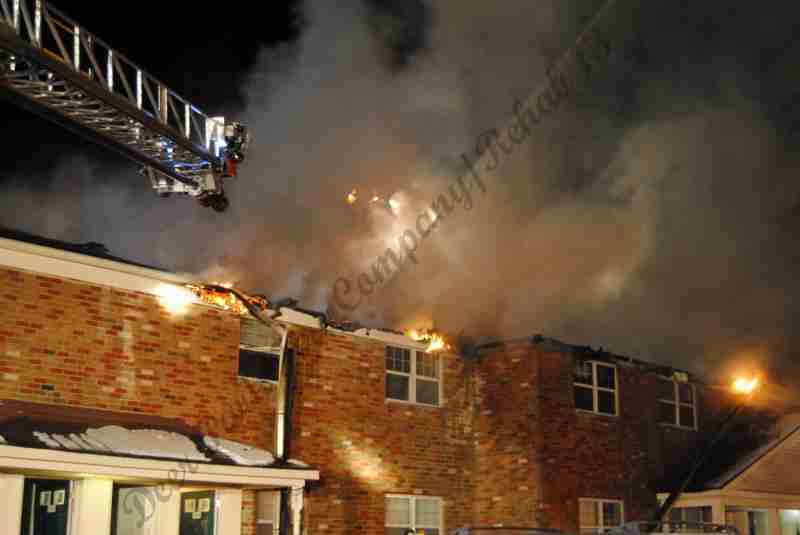 Rehab 13 also provided and warmers and treated icy areas with calcium chloride to make footing safer. 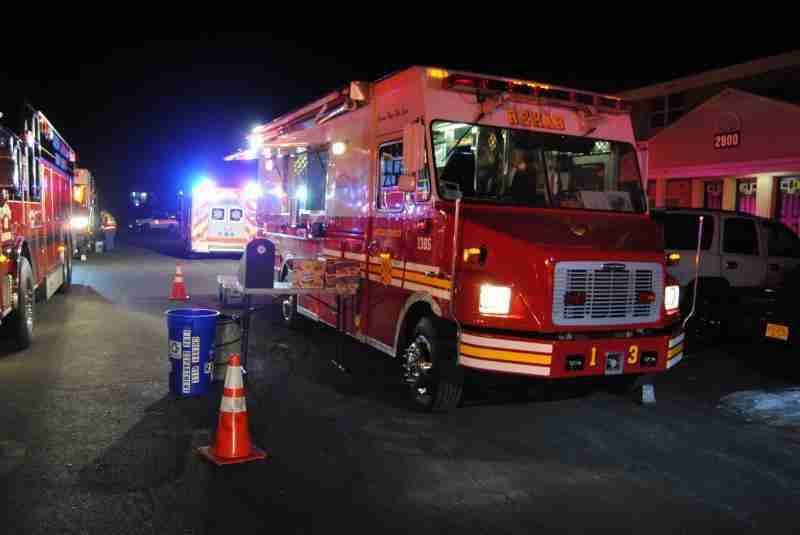 Rehab 13 was in service from 0345 hrs. until 0735 hrs. and returned to station for re-supply. 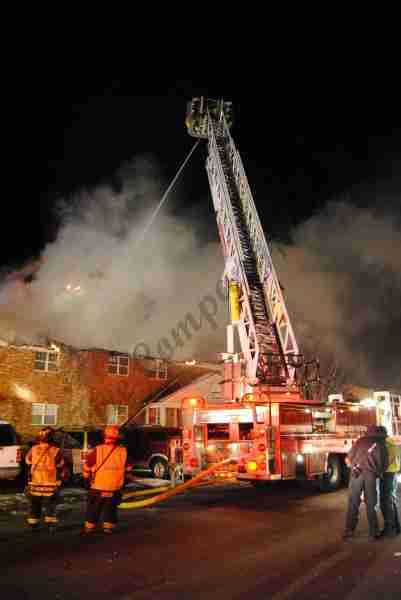 Photos of the scene by Capt. J. Cundiff of Rehab 13.